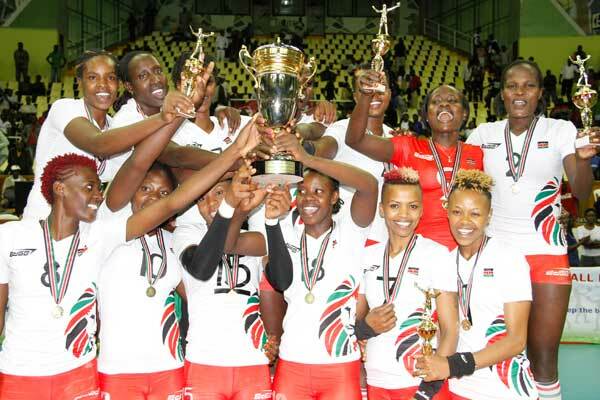 In June of 2015, the Kenya women’s volleyball team and the coaching staff led by David Lungaho once again did the country proud by winning the African volleyball championships in grand style. They overpowered every team including arch-rivals Cameroon, Algeria and Tunisia, winning every match without losing a set. It was one of the most dominant performances ever by this team and they deserve the support of everyone. Kenya has indeed dominated the continent since the late 1980s with a few interruptions from countries like Egypt and Algeria. However when they do participate in global events such as the Olympics, the exact opposite happens and Kenya often exits the tournament without ever having won a set. Why does this happen? It is not because Kenyan volleyballers they lack work ethic nor because they lack talent. It comes down to the fact that the Kenyan system is not producing players with the requisite technical skills needed to compete at a global level. When team has limited skills, the coach cannot deploy complex attacking moves that can beat the sophisticated defensive systems that the top teams deploy. And when a team has limited defensive skills, the opposing team can often exploit the weaknesses with ease. The best national systems are those that identify youth who have the talent, ability and interest to perform these skills at a high level. They will then start by teaching them the basics. Once the players master the proper way to execute these skills, they go to the next level where they start practicing more complex moves. The process continues such that by the time they are in their twenties, they can perform the most complicated moves. When a coach has players who can execute complex moves, it gives him plenty of options and makes it easier for him to design plays that will generate points. It also makes it easier for him to design defensive systems that can stifle the best attack that the opposition has to offer. Clearly the reason Kenya cannot hack it at global level is because our players have not cultivated the kind of skills that their opponents have. Perhaps the most glaring example of missing technical skills in the Kenyan setup is the jump-serve. Each of the top teams at the global players have 1 , 2 or several players capable of not just performing a jump-serve but also of performing it with power and accuracy. The jump-serve when executed with power, agility, height and precision is an awesome weapon and often results in quick points. 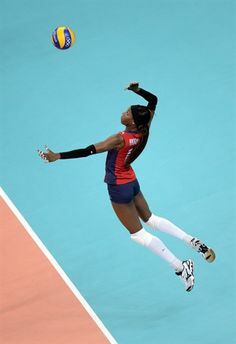 A good jumpserver can put the ball exactly where a coach has identified a weakness in the opposing team’s defense thus scoring several easy points. Defending against a good jump-server requires very good defensive skills. Though this skill has been in use for decades now, no Kenyan player has mastered this skill. Kenyan players still serve the ball in the traditional way and the primary goal is to get the ball in play not to score points. It is like having a football team with no free-kick specialist which is unthinkable in this day. Aside from the jump-serve, the other basic skills such as setting, passing, digging, sprawling etc are executed at technical levels that are a notch lower than their counterparts in other countries. There is barely a youth development scheme in Kenya. There is a junior team (under 21) that is mostly inactive. There is only one talent academy in the entire country (NYTA) which is in stark comparison with other countries that have multiple academies in each town. There are some schools in Kenya that often produce the best players. These include schools like Malava, Lugulu and Mukumu. But it is not clear whether the coaches in the schools are up to speed on the latest coaching techniques. There is no coordinated national program. The first order of business is to establish multiple youth programs across the country. One or two is not enough. Coaches should be adequately trained and made to attend regular refresher courses. These coaches should be charged with identifying players with potential. In countries like USA, tryouts are held by measuring physical attributes that are useful in volleyball. First and foremost is a players jumping ability (vertical jump, approach jump and block jump) must be at least 9 inches for attackers and blockers. Secondly recruit for height. Players who are approaching six foot and above should be given priority. Raw athleticism is a good recruiting tool. If you attend primary school and secondary school athletics meets, you will find several girls who can run 100 metres in under 13 seconds. This kind of agility and quickness is useful in volleyball. Such girls should be encouraged to tryout. And most importantly, recruit only interested players. If a player shows only lukewarm interest, you might as well leave them alone because they will soon totally lose interest and quit the sport. Only players who are passionate about the sport should be recruited because they are likely to pursue playing playing after they finish secondary school. Recruiting tall players is important. The teams that usually play against Kenya at the global level typically have several players as tall as 6’5″. This is one area Kenya has always lacked. Once players with the right attributes are identified, they should be recruited to centres of excellence like NYTA and offered full scholarships. Here they must be exposed to the best and most up to date coaching. A good coach is one who first teaches basic skills until said skills are mastered. Once a player masters the basics, they can move to more complex tasks. A good coach will always push a player to go outside their comfort zone. The concept of struggling a little to improve or acquire skill is important to the improvement process. The coach must be able to present an appropriate challenge that will cause some “struggle”, but can be accomplished. For example when working of defense, the coach can attack the ball just a little outside the current range of the player. Once a player masters a particular skill , they must repeat it multiple times until it becomes ingrained in their motor skills i.e. second nature. Good habits must be enforced by constant repetition. Bad habits must be got rid of with appropriate punishments like push-ups or laps. Players must then be exposed to several different environments. For example, when working on attacking, instead of tossing perfect sets to the athlete, “mix” in out of system sets, different types of sets, sets from right and left side and both front and back row attacks. These can take place in controlled single skill drills or multi player drills or scrimmage situations. Finally, the players must be challenged by making them play stronger opposition. There is no point of making NYTA players play against other schools. They should measure themselves against national league players where they can learn from the best. It is very important that these skills are taught at a young age. The older a person becomes, the harder it is to learn new skills and it is impossible for those skills to be ingrained into the person’s motor skills or in muscle memory such that they become second nature. Yet in Kenya, most players have never had a qualified coach perhaps until they reach the national league or even perhaps only when they play for the national team. If a players goes through proper coaching and exposure from form 1 to form 4, you will end up with players with excellent skills. Currently, development of players in Kenya is left to chance. If a player with talent ends up going to a secondary school with no coach or with an unqualified coach, their skills are often wasted. Such is the case in almost all schools in Kenya. Once a player finishes their secondary school, if they are good enough, they will always be recruited by national league teams like Pipeline, KCB and Prisons. The best grassroots coaches are the ones produce the best players by recruiting players with potential and turning that potential into a technically skilled player. Coaches should be assessed on how successful their program is in producing high calibre players. Those who cannot produce players should be re-trained or re-assigned. KVF should continue to monitor young players once they are done with secondary school. Those who excel should be invited to play in the national under 20 teams. At present the national youth teams are largely inactive. This is something that should be rectified. How can all this be accomplished ? Of course it takes plenty of finance to make a national youth program successful. One idea that has floated around Kenya for decades now is the idea of a national sports lottery to generate money for sports programs. A similar program is used in countries like the UK for example. In Kenya this idea has bounced around but has never been put in place. Most sports ministers in Kenya’s history are quick to pose for pictures with successful national teams but have very little knowledge about what it takes to have a successful national team. The current sports minister is no different. There was a comical situation at the 2004 Olympics. Where an official of the sports ministry who had traveled with the delegation (Mrs Rebecca N. ) was so furious at the team for losing 3 sets to nil that she went into the dressing room after the game and gave the players and team officials a serious dressing down. In her mind, they had lost too easily. What she did not realize is that sometimes the technical skills of the opposition are so much higher that they made winning look easy. The national team now receives a sponsorship courtesy of the National Oil company. Some of this sponsorship money should be channeled towards propping up centres of excellence. The sport should also be promoted all over the country. As things stand now, the only places where the game is taken seriously is parts of the former western province and parts of Rift Valley. Yet an area like Nairobi county is teeming with talent waiting to be tapped. Only when Kenya puts in place the proper development structures will the country be able to compete at a global level. Until then, fans will have to be content with winning in Africa and occasionally losing to Egypt or Algeria but never winning a single set when they play against world class competition. The more popular a sport is i any country, the more likely it will excel at that sport because the most athletic players will gravitate towards that sport. One way to popularize a sport is to start inter-county or inter-region competitions. It is much easier for fans to identify with community teams than with corporation based teams like KCB. A national tournament like the former Sakata Ball tournament would be very popular. Kenyans like volleyball. A well thought out league structure will attract crowds. The country already has a good platform to start building the popularity of the sport. 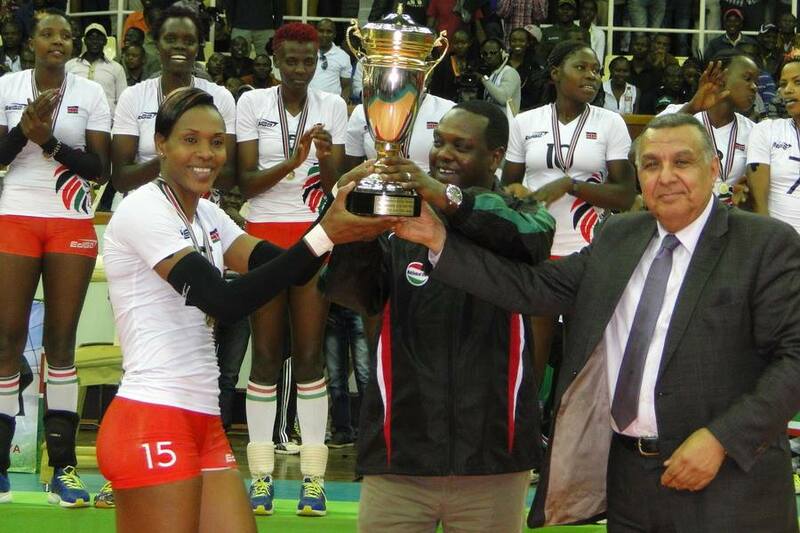 This entry was posted in Kenya Sports news and commentary and tagged kenya volleyball, kenya womens volleyball. Bookmark the permalink.